Asking questions like who is the “greatest”, “best” or “most beautiful" always arouses strong emotions, no matter the topic. PLM is no exception. 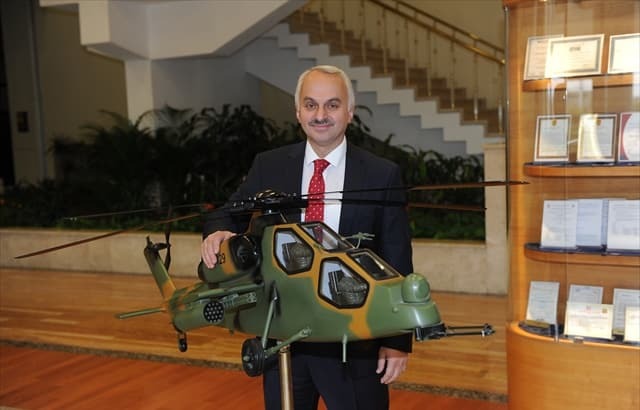 When Turkish Aerospace Industries (TAI) recently announced their purchase of a digital twin solution from Siemens PLM, engineering.com noted that "this is one of the largest global PLM orders so far this year." This is true, says Dassault Systèmes' Aerospace & Defense manager David Ziegler, but with a caveat. “Certainly, Siemens received a big order, but the order we took on the 3DEXPERIENCE platform for the development of the TF-X fighter aircraft is significantly greater,” Ziegler said. “We talk about a value of approximately 50 million euros (about $58 million USD) over 10 years, only in software. If you include implementation, maintenance and services, we’re talking about a total of about 60 million euros (close to $70 million).” This is significantly more than the $13-14 million that Siemens discussed. NEW TO THE POST. 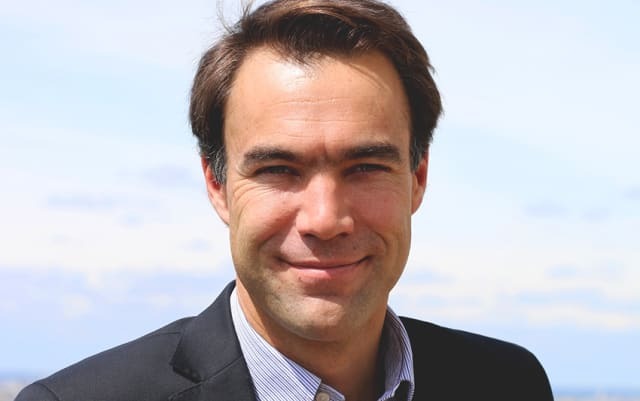 Dassault’s David Ziegler is relatively new to the post, having joined at the beginning of the year to replace the long-standing head of Aerospace & Defense, Michel Tellier. “The 3DEXPERIENCE order for the TF-X fighter that we received from TAI is far bigger that the one on digital twins that they gave to Siemens PLM”, he says in an engineering.com interview. Ziegler revealed several interesting pieces of news: for example, not only the size of TAI’s PLM investment in financial terms, but also that Dassault is considering the order as a win-back for Dassault’s ENOVIA. 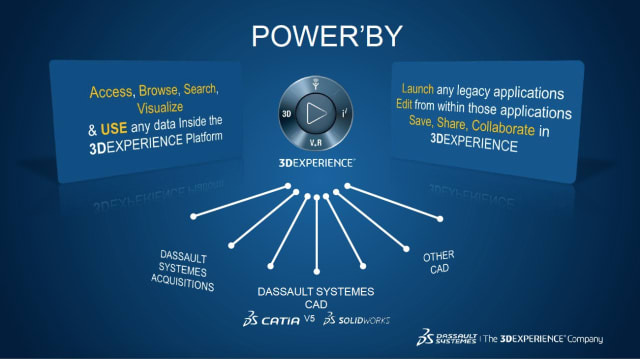 In addition, he said that Dassault’s fairly new "Power By" program not only works with CATIA V5 and SOLIDWORKS models in the 3DEXPERIENCE/V6 environment, but will also work directly with models from Siemens NX, Inventor, Creo and SolidEdge. First, a summary of TAI’s big PLM order. According to engineering.com’s estimates, the order for Siemens is worth around $13-14 million, extending over 11 years. All in all, TAI has placed $85 million worth of PLM-related orders within a short period of time. This may seem like big money, but there are certain perspectives that change this impression. For example, the breakdown in annual PLM investment amounts to about $8.5 million. In light of TAI’s 2017 total revenue of about $1.9 billion, this PLM investment represents less than half a percent. ROTATIONAL WING PLATFORMS A CIVILIAN STARTING POINT. The AS-532 Cougar helicopter in 1997 meant that TAI added new competencies for rotational wing platform solutions. “But this also became the starting point for the development of an increasing number of areas, including civil aviation projects.” European aircraft giant Airbus is one of the civilian companies that buy product solutions and services from the Turkish company. However, military projects, such as the TF-X combat aircraft, are the main production areas for TAI. 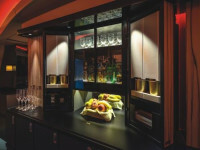 The TF-X will be developed on Dassault Systèmes 3DEXPERIENCE platform—making it this year’s biggest PLM order to date. In the PLM world, $85 million is considered big money, and the deal is “a feather in the cap” for Dassault Systèms and David Ziegler, who is responsible for successfully completing the deal. However, the new head of Aerospace & Defense at Dassault is no “rookie.” He has held multiple important positions within the European aircraft giant Airbus, including 10 years in business development. The last project he worked on was the big contract around Airbus's recent purchase of Canadian Bombardier C series, but he was recruited to Dassault Systèmes before that deal was completed. Airbus and TAI have been connected for a long time, but initially TAI was formed for military projects. The company began operations in 1973 to co-produce the F-16 aircraft that Turkey bought from the United States. The project was successful, and the Airbus and TAI collaboration continued with other projects, including co-production of the SF-260 Trainer and CN-235 Light Transport Aircraft in 1986. DESIGNED BY TAI. 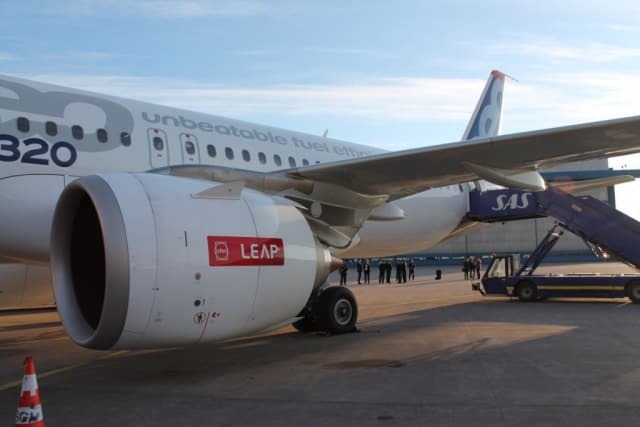 The fan cowls on Airbus A320neo’s Pratt & Whitney engines are designed and produced by TAI and are a good example of the company’s growing civilian air craft production. These hoods are used to protect the jet engine from external impact and contribute to aerodynamic effectiveness. Since then, TAI has evolved into a center for technology in design, development, manufacturing, system integration, modernization and aftermarket support for the aviation industry in Turkey. Among TAI’s latest major projects is a partnership with Airbus to design and manufacture the fan cowls for Pratt & Whitney’s engines on Airbus A320neo. These hoods are used to protect the jet engine from external impact and add to the aerodynamic integrity of the aircraft. This model family has two engine options, where TAI will deliver the covers to the PW1100G-JM engines. The fan cowls are designed and manufactured in TAI's Ankara-based Kahramankazan plant, where the company is already designing and constructing skewers for wings and tail fins for the Airbus A350 XWB models and rudders to Airbus A330 model. Today, however, TAI’s big project is military, where the major challenge is developing the fighter, attack and reconnaissance combat aircraft, TF-X. This vehicle is equipped with two engines and developed by TAI with technical support from British BAE Systems. The TF-X aircraft is scheduled to replace the Turkish Air Force's F-16 models, and the plans also contain the possibilities of exporting the aircraft to foreign air forces. This highly advanced aircraft will be developed on Dassault's 3DEXPERIENCE platform. A WIN FOR DASSAULT’s 3DEXPERIENCE. One of Turkey’s most advanced military projects is the development of the next generation fighter, attack and reconnaissance combat aircraft, TF-X. This two-engine fighter aircraft will be developed in cooperation with British BAE Systems and on Dassault’s 3DEXPERIENCE platform, containing apps such as CATIA (V6), ENOVIA (cPDm), SIMULIA (CAE) and DELMIA (Digital Manufacturing). Turkish Aerospace will use the Winning Program, Co-Design to Target, Test to Perform, Ready for Rate and Build to Operate industry solution experiences based on the 3DEXPERIENCE platform to develop its next generation, multirole aircraft from design through production. In total, Dassault’s David Ziegler estimates TAI will invest in about 2,000 licenses for the 3DEXPERIENCE platform and its apps. He further claims that the order from TAI is considered a "win-back," meaning that Dassault is taking over what Siemens PLM previously held. This statement is difficult to value, as Siemens claims that Teamcenter will not only remain a backbone within TAI and its Aerostructures Group, but will also be expanded. As I understand it, the digital twin business Siemens won was mainly intended for future defense programs: helicopters, FX Trainer fighters, and a piece of the new TF-X jet fighter program. A general observation is that it seems reasonable that TAI would use their incumbent systems for work already started – like the TF-X – with new programs and projects using Teamcenter/NX to build their digital twin. 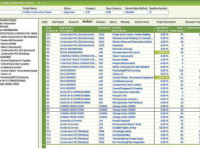 Likewise, TAI will probably continue to utilize Teamcenter in the ongoing aircraft and helicopter programs. All together, this means an additional substantial contract value for the coming decade – PLM investments that could even match the sums in Dassault's TF-X contract. Furthermore, the presence of Dassault’s software within TAI isn’t news. As is often the case in the aerospace and automotive sectors, Dassault is represented on the CAD side via its CATIA V5 solution. This software has mainly been used in TAI's Aerostructures Group and Helicopter Group, but with Siemens Teamcenter as the product database and PDM system. A JET DESIGNED IN CATIA V5. TAI has so far used Dassault’s CAD solution CATIA V5 and Siemens Teamcenter (cPDm) as important digital product development tools. According to Dassault and David Ziegler, the company will phase out Teamcenter and—at least in the TF-X project—only use 3DEXPERIENCE and ENOVIA as product data backbone. “Migration between models produced in CATIA V5, which will be reused in the new project, will be solved by Dassault’s new “Power By” solution, which also will be able to directly run and use 3D models produced in other PLM developer’s formats,” said Ziegler. However, TAI’s update to CATIA V6, and the software needs that accompany the TF-X's extensive scope, also means organic growth in Dassault's presence at TAI. 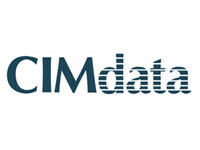 The result is that there will be a greater total number of CATIA licenses, and upgrading to 3DEXPERIENCE/V6 also means more licenses of the ENOVIA cPDm solution which serves as a backbone on the database side, for collaborative PDM, and for translation of V5 based models that will be reused in the V6 environments. DELMIA production licenses are also included, and to some extent also Dassault’s Apriso software and CAE programs and apps from the SIMULIA suite. Ziegler confirmed that the TF-X order includes CATIA (CAD on V6 core), ENOVIA (cPDm, "PDM"), DELMIA (Digital Manufacturing) and SIMULIA (CAE/simulation) solutions. In total, for these products, we’re talking a total of approximately 2,000 licenses. What does the migration program look like in the transition from CATIA V5 to V6? The question is interesting for several reasons, partly because in previous migration projects in other companies, format problems existed between V5 and V6 and partly because versions also "work" on the basis of different conditions; namely, that V5 is file-based, while V6 is database-based. The latter means that the program picks up product data based on individual data from an aggregated database, while V5 extracts product data from a file-based database approach. "With regard to the relationship between V5 and V6, today we have a very good solution called ‘Power By.’. It's an approach that allows engineers to use and work with CATIA V5 models and content natively in the V6 environment,” said Ziegler. “We are also planning to broaden our platform step-by-step to cover the other PLM developers' formats. We do this because we see ourselves as a supplier of solutions for digital continuity. From design to operations, we will deliver all functionality, both in product development and manufacturing. 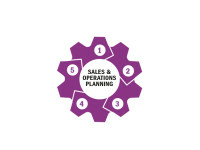 We will be the only PLM company to provide this kind of market capability,” Ziegler added. Ziegler’s response is very interesting, especially where he talks about Dassault’s plans to make formats from other providers compatible for use directly in the 3DEXPERIENCE environment. This is something of a new twist from Dassault, which was previously characterized by a tendency to be monolithic. 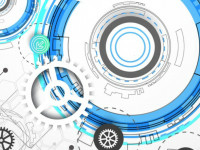 Certainly, like most others, they have signed the PLM transparency agreement, Codex of PLM Openness (CPO), and provided translator formats and opportunities for using exchange standards such as STEP, IGES, FMI, AUTOSAR and JT. The CPO is an initiative driven by the automotive sector's OEMs, suppliers and the industrial association ProSTEP iViP. Despite CPO, however, Dassault has strived for a situation where customers have to use Dassault solutions only. Of course, they are not alone in with this “attitude,” but things can be set up to be more or less hard to handle. A CONSTRUCTIVE APPROACH. Dassault’s new chief of Aerospace & Defense asserts that the "Power By" initiative is a constructive approach. “We are opening up the 3DEXPERIENCE platform so that users can work directly not only with CATIA V5 but also with SOLIDWORKS models; and even directly with models in formats from the other important PLM developers, such as Siemens, PTC and Autodesk,” says Ziegler. In a perfect Dassault world, of course, "monolithism" is good. 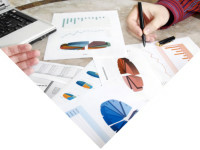 But the fact is that the world's large and medium-sized companies generally show a wide diversity in their IT and PLM landscapes. There are, and will always be, a variety of software from several developers to support most product development teams. At the same time, a customer’s main interest is that all product realization processes will work smoothly together despite this diversity to facilitate, for example, the use of "best-of-breed" solutions and system integration. In this respect, David Ziegler’s message is a clear signal that Dassault intends to face the reality of user environments in this regard. The first step in efforts toward compatibility is to make its own product landscape fully compatible, and here Ziegler believes that the "Power By" initiative is a constructive approach. "We are opening up the 3DEXPERIENCE platform so that users can work directly not only with CATIA V5 but also with SOLIDWORKS models. 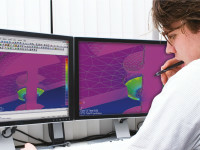 This capability will initially apply to CATIA V5 from 2017,” Ziegler said. The "Power By" for CATIA V5 and SOLIDWORKS is reported to exist both as locally installed (On-Premise) and Cloud versions. In the case of "Power By" for multi-CAD, it has the ability to work with Siemens PLM’s NX, SolidEdge, Autodesk Inventor, and PTC Creo models. The solution was reported to be released in June for both local and the cloud installations. “The new functionality is delivered on the 3DEXPERIENCE platform and will enable users to work with CATIA and non-CATIA models. The benefit stems from being able to use other aspects of product development functionality that does or will exist on 3DEXPERIENCE such as DELMIA for manufacturing solutions and SIMULIA for advanced analysis,” said Ziegler. He also pointed to other "benefits" such as data management, project management and search capabilities that are embedded in the platform. "The goal is to be more inclusive and to make the platform easily accessible to all, regardless of the design tools they want to work with." BASED ON LATTICE-BOLZMANN EQUATIONS. 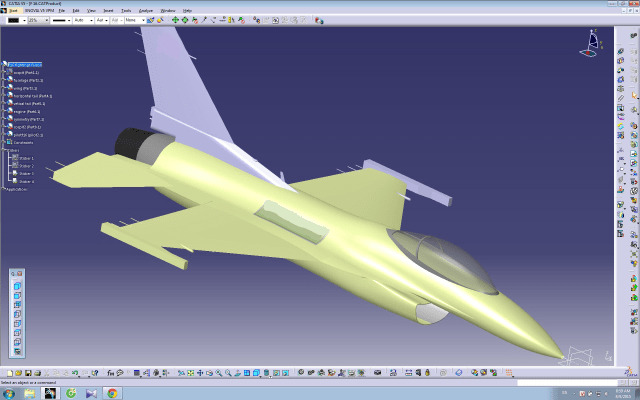 Simulation will play an important role in TAI’s product development efforts regarding the TF-X fighter. The ace up Dassault’s sleeve in terms of simulation is their newly acquired ESA solution, XFlow, which is now a part of the company’s SIMULIA brand. This CFD software is based on Lattice-Bolzmann equations, which are regarded as more effective that the traditional Navier-Stokes. "Lattice-Bolzmann Equations Raise CFD Simulation." Dassault's Aerospace & Defense chief emphasizes how simulation is an exciting opportunity both with regards to TAI and the potential that “Power By” brings to the table. "Simulation will be a significant part of the TAI development program, and XFlow is the CAE software that will mainly be used. XFlow is based on Lattice-Bolzmann equations and not the traditional, more common Navier-Stokes equations. The former are better with regard to nonlinear problems in connection with problems related to a TF-X type of aircraft,” Ziegler explains. XFlow entered the portfolio when Dassault acquired U.S.-based computational fluid dynamics (CFD) developer Exa Corporation for $400 million. The solution was exactly what Dassault needed to meet the requirements related to next-generation fluid dynamics simulation. The technology is industrially proven and adds additional strengths compared to what Dassault already had in the SIMULIA environment. One thing that stands out: through Exa, Dassault offers a documented sharp and versatile portfolio characterized by these Lattice-Boltzmann equations. Among other things, this means less CPU power is needed, and calculations are faster. This set of solutions solves problems with liquids, aerodynamics, aero acoustics, thermal management and a growing number of applications in other industries faster and more precisely than traditional methods. Data Driven or File Based? What about the different approaches in terms of an effective PLM backbone: “file based,” or “data driven,” which is 3DEXPERIENCE’s angle of attack? His thesis is that a file based system has a limitation in that configuration management is done by group. "The relationships are bundled together into a single item. If a different set of parts are needed to support a customer order then we need a new, different group. If parts are replaced due to product updates or improvements, again we need a new different group. This approach leads to a tremendous number of cloned assemblies, each of which may need to be updated separately when changes occur,” Erno said. No doubt Erno makes an important point here. Ideally, the data driven, “zero file” system is a Dassault 3DEXPERIENCE strength. However, there are some problems connected with swapping to this approach, specifically, that it takes implementation of new methods in an environment where many of the systems used are still file based, both on the product development and manufacturing side. Things would possibly work fine if product development processes were isolated and not linked to manufacturing; however, these process are linked. Imagine the problems that could occur in environments where the manufacturing IT solutions are built to deal with the traditional file based BOM’s. In order to install the data driven approach, you have to invest in a lot of workarounds and probably—if you want the system to work entirely on its own merits—tear down the whole old production system. Long term, this can be done; but considering ongoing production, it has to happen in a step-by-step fashion which may affect overall productivity effectiveness. 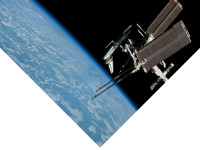 Who is the Biggest PLM Player in Aerospace & Defense? Finally, how does the competitive landscape in the Aerospace & Defense PLM segment look? Which of the PLM players is the biggest in this area? Clearly, Dassault Systèmes has done major business over the last two years, and these deals have made an impact in the statistics. Not least of these is last year's giant investment where Boeing chose to spend $1B dollars on Dassault’s 3DEXPERIENCE platform over 30 years. Broken down to annual amounts, this means just over $33 million a year. This was a substantial order, which also introduced the effect of Boeing aiming to phase out all other solutions and replace them with 3DEXPERIENCE solutions powered by its brands CATIA, ENOVIA, DELMIA and SIMULIA. Boeing currently has over 2,000 different software programs and platforms being used by the company's more than 40,000 engineers and product developers, and will eventually phase out even the "heavy" software solutions currently available at the company. Siemens Teamcenter, which has an extensive presence with an older customized version, is at risk, as well as other smaller installations such as PTC’s Windchill. Boeing's Kenny Swope, senior manager of Business Capability Integration, says that they have begun the implementation of 3DEXPERIENCE/V6 and the goal is to consolidate all product development on this platform. “Relationships with all our PLM providers will continue for a while. We have these systems in place that operate our business or produce important results in several areas and play a very important role in this. But we want to be very clear that the aim is to make use of the value that 3DEXPERIENCE can produce as quickly as possible,” says Swope. AN IMPORTANT CONTRACT FOR BERNARD. 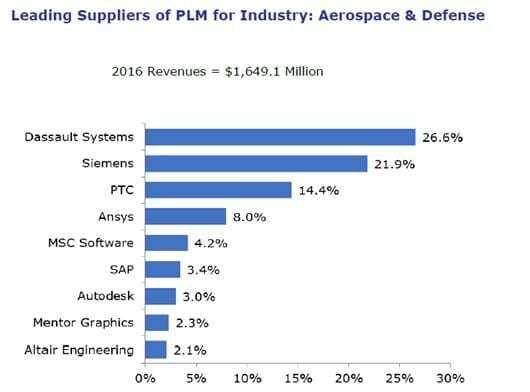 During the last couple of years, Dassault has won several big contracts for PLM on the 3DEXPERIENCE platform, and these wins have affected the statistics regarding market shares in the Aerospace & Defense arena. Dassault’s sister company, Dassault Aviation, is a win that stands out, said David Ziegler. This multi-year agreement covers the replacement of Dassault Aviation’s civil and military aircraft programs with the 3DEXPERIENCE platform for all PLM solutions. The 3DEXPERIENCE platform should enable Dassault Aviation to respond to the challenges ahead: expansion of the Falcon range of business jets, evolution of the Rafale fighter, cooperative development of the future combat aircraft and the MALE observation UAV, etc. 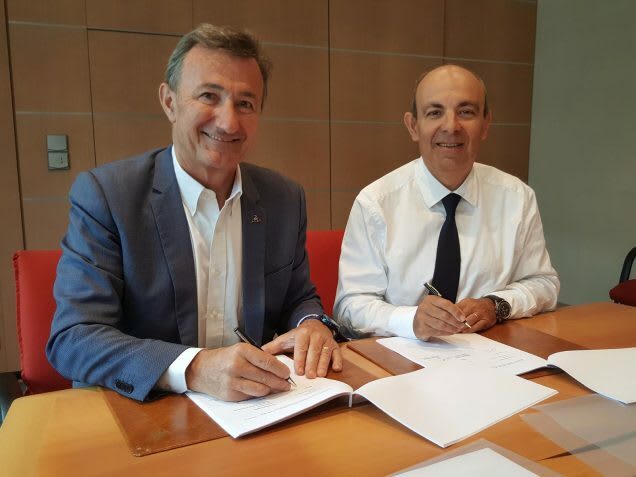 In the picture, Bernard Charlès, CEO of Dassault Systèmes (left), and Éric Trappier, chairman and CEO of Dassault Aviation, after signing the contract. In addition to Boeing's venture on Dassault’s platform, Ziegler also points to several other important orders made by major aviation industries, including Korean Aerospace Industries and Dassault Aviation. “Interesting in Dassault Aviation's choice of the 3DX platform is that they have decided to move all their older data to 3DX. This is not just about new or existing aircraft programs, but also the old model programs. And we're really talking about all the data, from design, including manufacturing and many other parts of the operation. True, Dassault Aviation is a sister company to Dassault Systèmes, but for us the meaningful fact is that we have won not only the Korean aviation industry, but also the TF-X program and Dassault Aviation's wide-range programs,” notes David Ziegler. He further claims that this has affected Dassault’s strength relative to its competitors in aerospace and defense. So, how does it look according to neutral sources? There are some discrepancies, but the main trend showing Dassault, Siemens and PTC as the market leaders is clear. If you break down the numbers to the different PLM areas and look at, for example, cPDm, things change slightly; however, the big picture is still that Dassault Systèmes has gained momentum for its 3DEXPERIENCE/V6 platform in the aviation industry through a number of significant large orders. For Siemens, the outcome of Boeing choosing Dassault was a hard blow, but both the Bombardier and TAI orders show that Siemens can still provide tough competition—and win. It’s also true that even if Boeing took the decision to consolidate on 3DEXPERIENCE and Dassault’s apps, capable and best-of-breed solutions like Mentor can’t be swapped overnight—and maybe not even in the long run.